Q: Hi, I have just moved into a place with a swimming pool and am getting quite upset because I keep finding drowned honey bees, bumble bees, worms and skinks in it. Also the occasional German wasp - but who cares about them, right? Is there a way I can prevent this? Would a cover work? And what attracts them to it? Any advice would be much appreciated, it’s so upsetting to see dead bees. It’s a question that often pops up during summer and we've asked our ecologists to help you with it. Herpetologist (lizard expert) Dr Matt Baber and entomologist (insect expert) Dr Briar Taylor-Smith explain the issues below. In most of urban Auckland (including Takapuna) there are two species of skink: native copper skinks (Oligosoma aeneum) and the introduced Australian plague skinks (Lampropholis delicata). Copper skinks are nocturnal and don’t move far from the bush and rocks in which they hide away. On the other hand, plague skinks – which are named so because they are found in very high numbers – are active during the day running about on driveways and other open spaces, and are therefore more likely to become trapped in pools. Bees need water for drinking, diluting their food and for hive ‘air-conditioning’. They like reliable water sources, so once a colony has decided that it likes your pool, the workers will keep coming back for more. In natural settings, such as streams and lakes, there are places for small animals to stand and drink. The problem with swimming pools is that water doesn’t come all the way to the top, so they have nowhere to stand and if they do fall in, they have no way to escape. You can help out flying insects by floating things in your pool, such as corks, sticks or kick boards, which will provide a platform for drinking and a gentle slope that will allow them to climb to safety if they do fall in. However, to save lizards and worms (which tend to sink to the bottom), it’s best to invest in a pool cover. You can create an alternative water source for bees and lizards by placing pebbles in a shallow container. Fill it with water leaving only the tops of the pebbles exposed to provide a safe landing spot for bees. Keep the container in a shady spot in your garden and top it up regularly, especially in hot weather. Hopefully the bees will find and begin to prefer that as a water source quite quickly and you won’t find as many of our precious critters submerged in the pool. Q: I’m a big fan of Mid-century Modern/Palm Springs architecture... and especially love the stone walls that feature on the more expensive homes built in that style in the 1960s and 70s. There is a particularly spectacular one on St Johns Rd in Auckland - it is unusually colourful. Would one of your geologists know why it is so different to the other ones around Auckland? - Rachel, Mission Bay. A: Great observation Rachel! Engineering geologist Kevin Hind and geology graduate Rebekah Robertson have an interesting explanation! Those rocks have travelled a long way to feature in this stone wall. 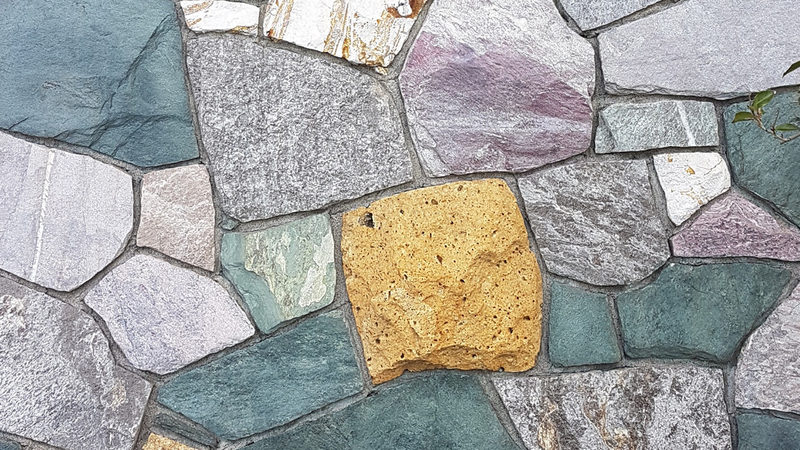 They are particularly colourful because the vast majority of them appear to be schist, and schist is predominantly found in the South Island – people may know it as “Queenstown Stone”. Schist is typically formed across an entire region through a process called ‘metamorphism’. In many places throughout New Zealand we have a rather boring rock called ‘greywacke’ that is quarried for things like the rock you see under railway tracks (or aggregate). Greywacke around, and under, the Southern Alps is exposed to high pressure and heat, as it is squeezed along the Alpine Fault, turning it to schist. The colours of the schist typically reflect what’s called the different ‘grades’ of metamorphism, meaning the amount of pressure or heat the greywacke has been exposed to. For example, a blue coloured schist would typically have been exposed to higher pressures than a green coloured schist. As the pressure and temperature changes, so does the rock's mineral make up, texture and colour. The colours and the shiny nature of the schists come primarily from the presence of a mineral called ‘mica’ – which, fun fact, is also typically what make things like eyeshadows and other make-up shiny. The mustard/orange coloured rock in this wall is volcanic and called ‘ignimbrite’ - it has been stained by the presence of iron in its makeup that has multiple segments of other rocks imbedded in it. This type of rock is typically formed from huge super-violent eruptions that send clouds of hot ash, pumice and other rock fragments across the landscape at hundreds of kmph. 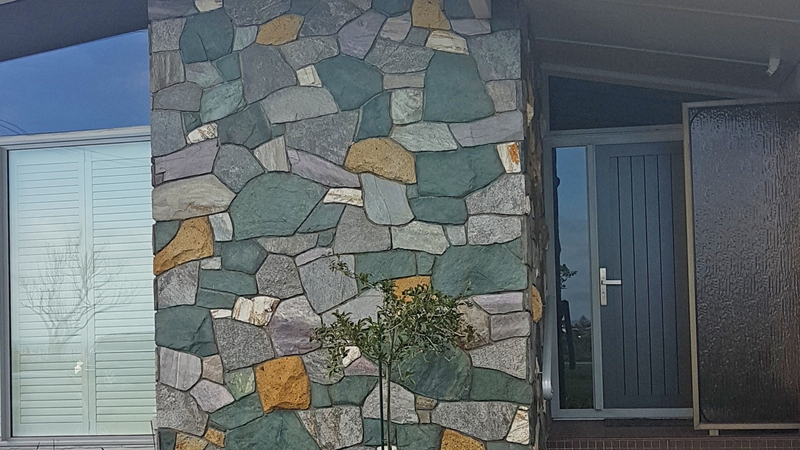 Perhaps the ignimbrite in this stone wall flew from Taupō all the way to Auckland? Q: Can wind seriously blow a building over? A: That’s a really good question, thanks Anna. Alex Vink, Structural Engineer has an answer! In a word, yes wind can absolutely blow buildings over. What’s really interesting is all the ways wind can cause structures to fail. Wind is mainly caused by the rotation of the earth, which causes the air in the earth’s atmosphere to move. When the wind blows, structures like buildings and bridges obstruct the air flow. This causes the air to flow around the obstruction and generates a pressure or drag on the obstruction. Engineers need to design their buildings and bridges to make sure that they can withstand this pressure. In a storm, the air particles can move very quickly. This can generate large pressures and drag on buildings. If these buildings and their foundations have not been designed to be strong enough to withstand these large forces that are generated, they can topple or collapse. 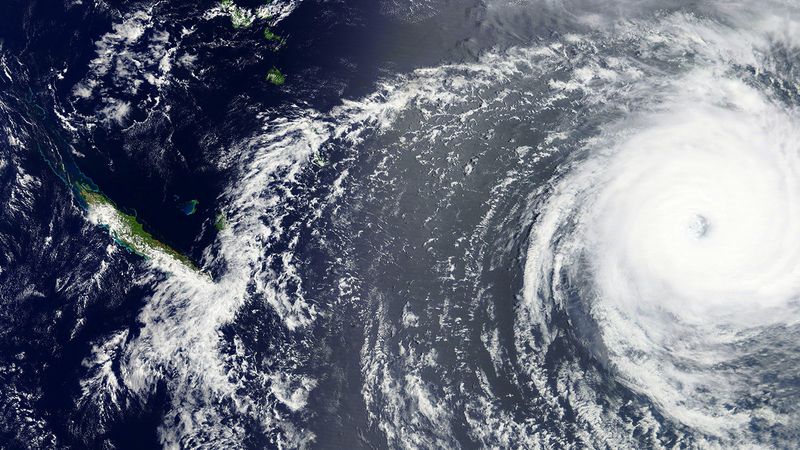 This happens quite commonly in the Pacific Islands during cyclones. It’s not just large wind pressures that can make buildings or bridges collapse. During the life of a bridge, it will experience a lot of changing wind with different pressures. It may only experience a couple of really big storms, but lots of small gusts of wind can cause the bridge to fail due to a phenomenon called fatigue. Some materials, like steel, get weaker when they are exposed to many cycles of loading (like changing gentle breezes) and when they experience enough cycles, they can break. This is a bit like bending a paper clip back and forward until it breaks. Perhaps the most famous example of a bridge collapsing due to wind is the First Tacoma Narrows Bridge collapse. The wind caused the suspension bridge to vibrate excessively without the wind speed increasing because the bridge was not able to absorb all the energy from the vibrations. Eventually these vibrations became too big and the bridge became unstable and collapsed. This phenomenon is called aerodynamic flutter. Engineers need to consider these effects when designing bridges. 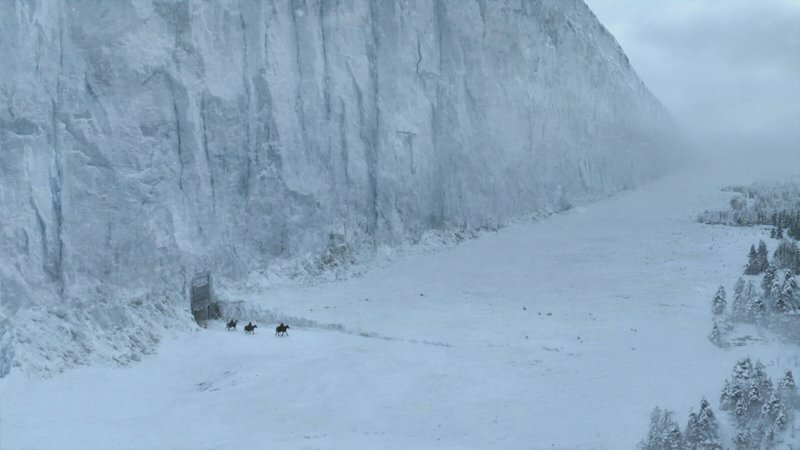 Q: If The Wall from the Game of Thrones was built in real life, how deep would the foundations need to be? Would it actually be possible to build it out of ice? NB: The Wall is meant to be 300 miles long, over 700 feet (213m) high, and made of solid ice. A: This is a goodie, thanks Grant. Mark Thomas, Senior Geotechnical Engineer has got the answer! Mark: "How come I get the question about fictitious magic stuff?! I know more about soil and rock than I do about ice. I know glaciers get way thicker than that, (~1500m thick) and the Greenland and Antarctic ice sheets are in the order of 2000 to 5000m thick! But they don’t have vertical cliff faces nearly that high. In order to be strong enough to form a 213m high vertical face, the ice would need to have a theoretical mass strength of at least 2MPa UCS, which doesn’t even take into account defects within the ice. On top of that, Martin Truffer has pointed out that ice doesn’t hold its shape, and I guess that’s where you need a bit of Old Gods magic to keep the whole structure from falling apart. Building a structural “foundation” for the wall wouldn’t really cut the mustard. You’d really want to dig down and build the wall on solid bedrock. Depending on the strength and fabric of the rock, you might have to dig tens of metres deep to support the steep sides of the wall. Given the size and weight of the wall, you’d probably also induce quite a few localised earthquakes during construction. That could be a problem for nearby masonry castles and forts due to their brittle construction; but less likely to be an issue for a typical wildling hut. It’s a bit strange that the wall was built out of magic ice. If I was in charge of the wall’s construction, I would have opted for magic rock or magic concrete, which would be much more robust in both a structural sense, and in its resistance to dragons and long summers. Donald Trump, if you’re reading this, give me a call". Q: Why is Ramp 4 out of Waterview SO BIG?! A: Thanks Andrea, our roading expert Matt Arcus has the answer on this one for you! At the Northern end of the Waterview Tunnel, the interchange is made up of a complex set of ramps. Each individual ramp crosses over multiple carriageways but ramp 4 crosses the most carriageways. In order to cross these carriageways AND meet the required road standards and design criteria, ramp 4 needs to be much taller than the other ramps. And with height comes the need for a bigger supporting structure and extra road length to address the change in height (so that driving down ramp 4 isn’t like being on one of the Big 5 at Rainbow’s End). Minimum curve radius: how tight you can make the curves - so that the forces keeping you on the road oppose the centrifugal forces trying to throw you off! Another significant part of designing any road is safety. This can add additional constraints to the design, such as making the shoulders wide enough to see around the bends, or safely accommodate a broken down car. Q: How long will the eruption of the volcano on Kilauea in Hawaii last? A: Good question! One of our resident Volcanologists Alec Wild has got an answer for you! The short answer is we don’t know! It’s difficult to determine how much magma beneath the volcano is going to be ejected, and over what timeframe, as we cannot directly observe it. Kīlauea Volcano on Hawaii’s Big Island has been erupting on and off since 1983. However, this most recent phase has formed long cracks in the ground called fissures, along the East Rift Zone to the east of the main vent. The rift zone is a thin strip of land that is being separated, allowing magma to travel up and down. Once the magma reaches the surface and forms fissures, it produces fire fountains and lava flows. Of particular note are the fissures that have formed in a residential subdivision, Leilani Estates, resulting in the evacuation of residents and damage to properties and infrastructure. The lava level from Kīlauea main summit has dropped, which indicates that the lava could be moving along the rift zone. Volcanologists are monitoring the lava level, seismic data and ground deformation to try and predict where the magma is moving and where it might come up to the surface. This eruption is considered, based on activity and affected area, similar to the 1955 event which occurred in the same rift area, and lasted 3 months. During the 1955 event with lava flowing both north east and south west of what is now Leilani Estates. Although this is similar, we cannot definitively say that this eruption will be of the same duration. 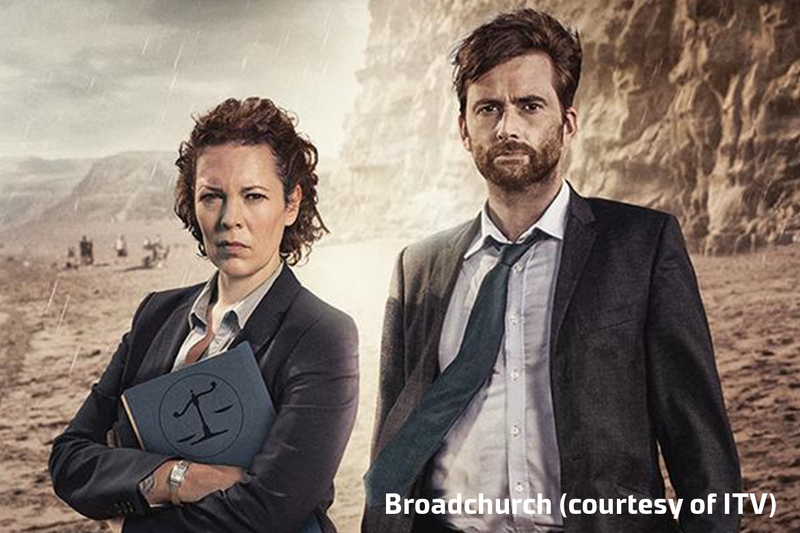 Q: I have been transfixed by that dramatic, jagged, golden cliff face that features in the British TV programme, Broadchurch. Would one of your engineers kindly explain (in layman's terms) how it was created. A: Great question, Shirley. Our legendary engineering geologist Kevin Hind was dead keen to answer! "The steep cliffs of West Bay in Dorset on England’s Southern coast are made of extremely weak and highly erodible sandstone. They originally formed from layers of sand, mud and shell fragments that settled onto the ocean floor sometime between 183 and 174 million years ago. It took a whopping 860,000 years for the full 43 metre thickness of cliff to develop! The build-up of sedimentary sand layers happened extremely slowly, forming at an average rate of one metre per 20,000 years. All those horizontal layers of sediment are clearly visible in the cliff face - just like they are in the cliffs of Auckland, which formed in a very similar way. Years of wave erosion has formed the cliff face itself, most of which occurred since about 6,000 years ago, at the end of the last ice age, when sea levels stabilised at their current levels. The corrugated look of the cliffs is caused by two things. Firstly, the geology contains two sets of strong sub-vertical joints, along which cliff collapse generally occurs. This results in tall, flat-faced columns, which stand out from the overall cliff face with recesses between them. This close up image clearly shows the sub vertical joints in the rock formation, this effect is called ‘buttress and groove’. Secondly, extensive landslips that occur at the top of the cliff within the soil and weathered rock. These landslips occur on a regular basis along the length of the cliff, giving it that serrated and ‘bread knife’ appearance. This, combined with the rock buttresses, give the cliffs their remarkable corrugated appearance". Unique geology and erosion combined to create the ‘bread knife’ appearance of the cliffs along the Jurassic Coast. So what about that golden yellow colour? "That’s actually the result of an oxidation process enhanced by beautiful cinematography. The rock is naturally a grey-blue colour, but when exposed to oxygen, the mineral ‘pyrite’ (also known as ‘fool’s gold’) changes to yellow limonite – snap – there’s your yellow stone". Q: Why doesn’t my bike trigger some traffic lights? Sometimes I have to wait ages for the lights to change when there’s no traffic - Linda, Tauranga. There are a number of reasons why this could happen, however, the most common is that your bike might not contain enough metal to be detected by the electro-magnetic sensor loops used by the traffic lights system. You can usually see these sensor loops at the lights, in the pavement as dark rectangular lines near the stop line of each traffic lane. Other reasons why your bike may not trigger the traffic lights include that you haven’t ridden over or near enough to the sensor loop, or the sensor loop’s sensitivity setting is not high enough. To reduce this issue in New Zealand, bicycle-specific sensor loops are sometimes installed where bikes at traffic lights are more common. Some cities also have cycle stop boxes (see photo below) at intersections, with painted symbols to show where the cyclist should stop for detection - Transport Engineer, Jeremy O’Neill.